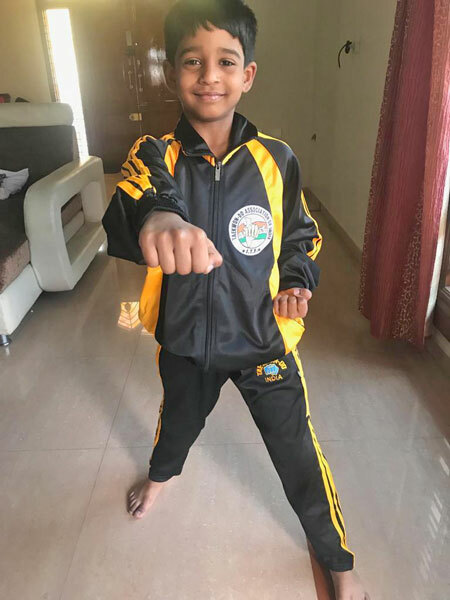 D.C Sidesh of grade 2 participated in patterns and individual sparring representing Indian team in 1st Asia Pacific ITF Taekwondo Do Championship 2019 which was held from 29 to 31 March 2019 at Shah Alam, Selangor Malaysia. Shreyan Yogesh Lowalekar of grade 5 has secured the second prize in the ‘A Wriggly Wiggly Story’ Inter School Short Story Writing contest (Junior) conducted by Jain University Press. 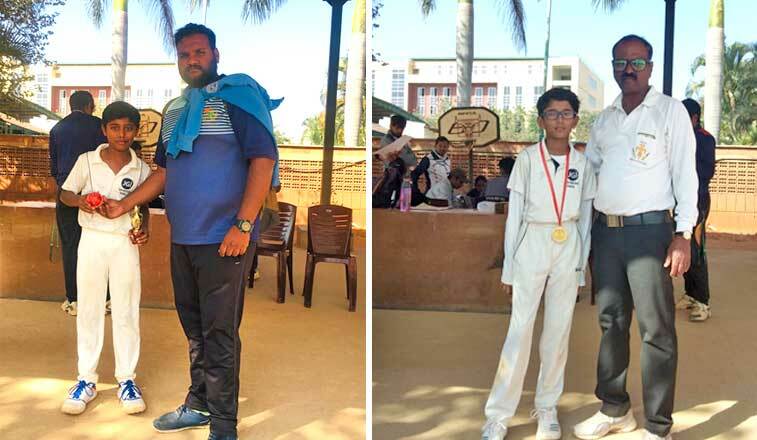 Avyukth Shreyas of grade 1 has entered Champions Book of World Records as the "Youngest to bat with right hand and left hand". JHS congratulates U -13 cricket team that participated in the DPS tournament against Greenfield School. Krithin of grade 6 took 5 wickets and JHS won by 10 wickets. Krithin was judged as Man of the Match. Shreehan Arinjai of grade 5 was awarded for Catch of the Match. 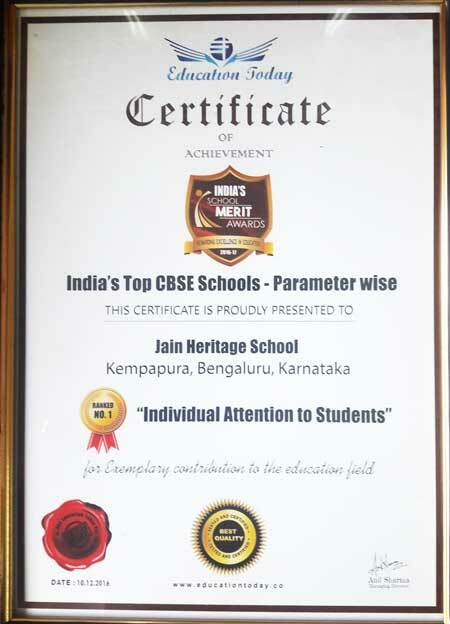 Welcome to Jain Heritage School! 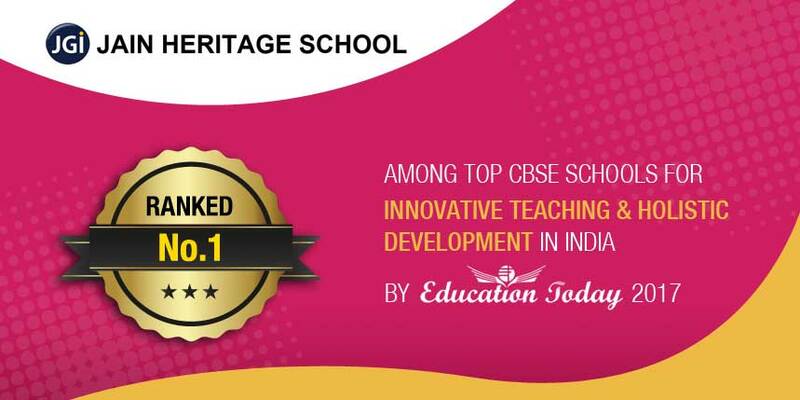 "We aim to create a stimulating, caring and rewarding school environment where every child is a valued member, encouraged and supported to ensure that they achieve their potential to the fullest". JHS is organizing Grassroots - Residential Sports Summer Camp from 1 to 19 May 2019 at The Jain International Residential School, Kanakapura, Bangalore. JHS will be conducting Graduation Day for Advance Fundamentals on 16 March 2019. 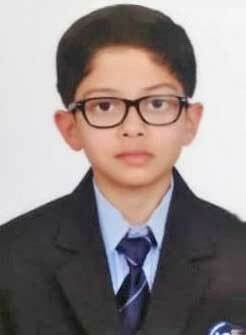 Anirudh Iyer of Grade 6 is a child who shines in both academics and extracurricular activities. His thoughts and feelings find expression in Poetry and Music. His dream is to publish his Book of Poetry wherein he can share the magic of words and verses with everyone. This has encouraged him to start his own poetry blog - Little Poetrywala, an attempt to showcase and a chance to present his poems to everyone. JHS is conducting a parenting session on the topic" Bluetooth" for Advance Fundamentals on 8 March 2019. JHS will be organizing Graduation Day for the Grade 10 students on 27 February 2019 (wednesday) at School Campus.